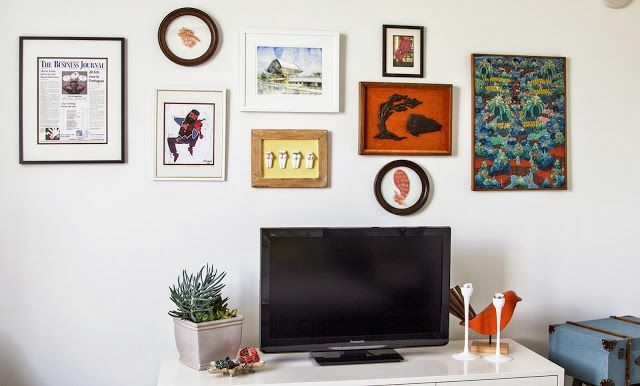 Like the rest of the design world, we love a gallery wall and for many reasons. It's a fun way to showcase a varied mix of your artwork, to blend art with other collectibles and best of all, there are no real rules! 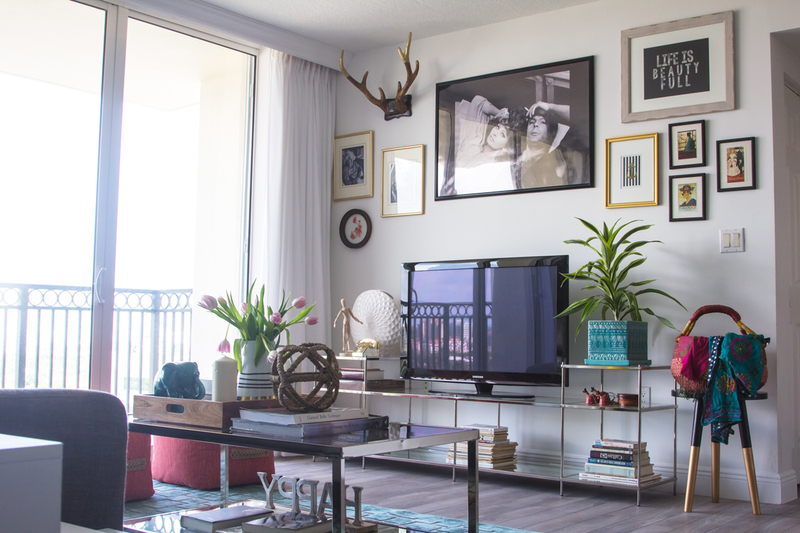 Which means you can really mix a gallery wall with whatever the heck you want, something the rebel in us kinda loves. We like to tie together different shapes and add a fun, unexpected piece to the wall like the "Q" seen above. A good tip is to start with the largest piece and work around that, lay all items out and start moving things around till you are satisfied...don't forget to take a picture of the placement before you start hanging! example, above we used the clients art from Brazil. 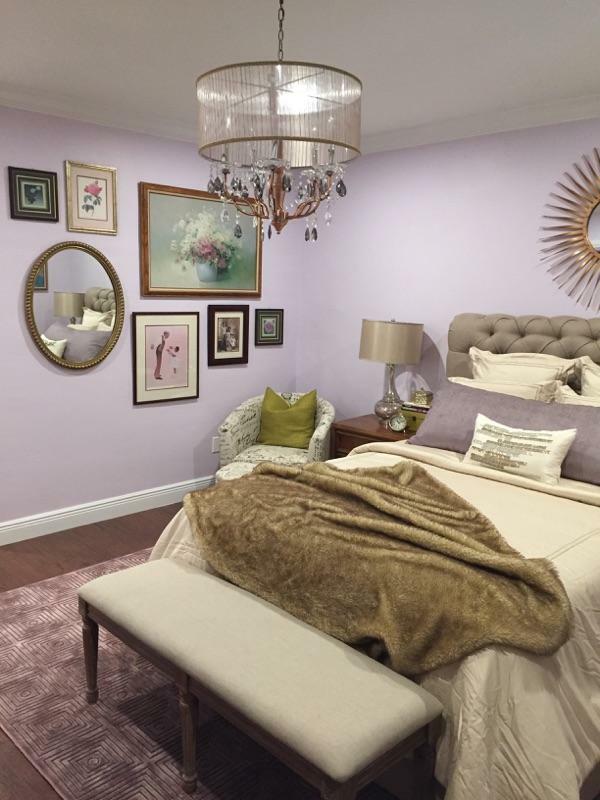 In this pretty master bedroom, we used family pictures and mementos around a mirror to create a vintage feel. Don't be afraid to start the gallery wall around a TV and try to keep the spaces in between the items the same distance apart. 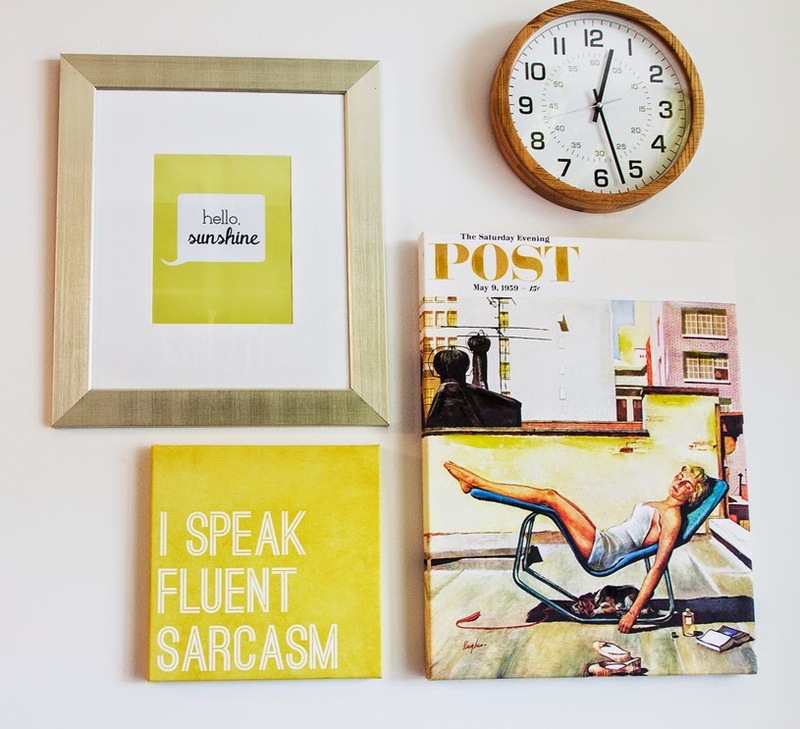 Gallery walls come together organically, have fun and display things you love! Great round-up and tips! Thank you ladies! Oh, you make it look so easy! Beautiful groupings. YOU make it come together organically. The average person considers it a challenge. Great post and great work!